Looking ahead to February 2019, we are returning to London following the success of our fundraiser in the city last year. The fundraiser will take place on Sunday 10th February at 6pm. See our Fundraiser page for full details. Our Winter Fundraiser will take place on Sunday 27th January, 3pm. Pianist Daniel Tong & cellist Robin Michael will be performing Beethoven, see our Fundraiser page for full details and how to reserve a place. When Mary Gifford asked us to help her fill her wonderful home with music, Robin and I jumped at the chance. Kinnordy has the perfect music room and inspiring ambience for the kind of music that we play. 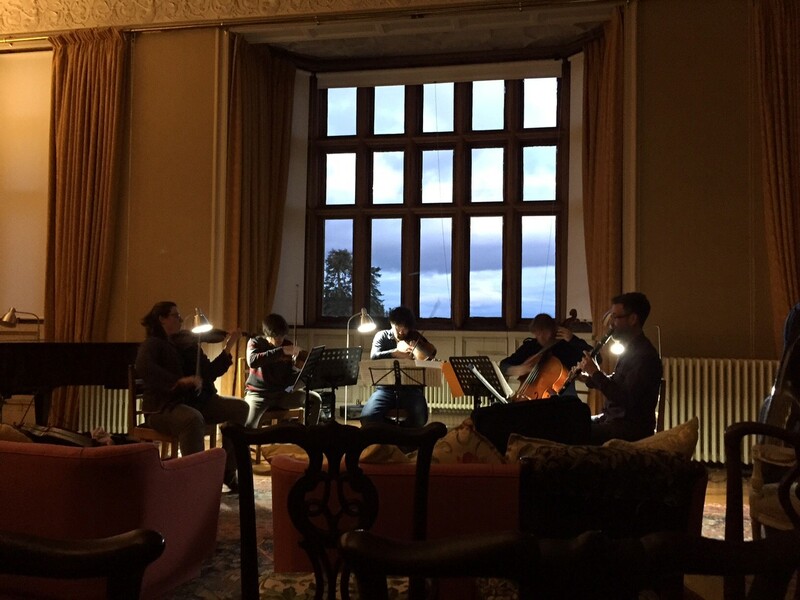 It’s a special retreat for the musicians, as well as an ideal concert venue.